Lorne Michaels didn’t give up after his first attempt to lure the Beatles back together on Saturday Night Live in the 1970s with an offer of 3,000 big ones. That was to be split among all four members. Comes to about $750 each unless they wanted to give less to Ringo. So as we begin another chapter in the Olesker’s Bawlmer list, we aren’t giving up either on getting a reaction from the great retired Baltimore columnist Michael Olesker who worked at every Baltimore daily newspaper – News American, Baltimore Sun and Baltimore Examiner. We want Olesker to drop us a comment on how we are treating his sacred list of native Baltimoreans who you couldn’t tell the history of Crabtown without. For those not familiar with Olesker, let’s put it this way, we are talking about a writer where Baltimore chefs come out from the kitchen to get his autograph on a placemat. This autograph thing happened at Werners on Redwood Street – the eatery that was one of the locations for a Barry Levinson movie. Werners unfortunately closed up shop – maybe because they ran out of placemats. We cut the list to a dozen – knocking off the last eight (Kweisi Mfume, Joe Gans, Jerry Leiber, Lillie Carroll Jackson, Cab Calloway, Reuben Kramer, John Waters and Leon Uris) because we still are concerned our website might get canceled by the Internet attorneys who find it hard to understand how we can exist or if we just took the name from someone. As we’ve said over and over again – the Baltimore Post-Examiner is not related in any shape or form to the Washington Post. Hope that’s clear. As you recall, Michael, or perhaps you don’t recall, let us remind you of that candy bowl offer: Sitting in our offices is a candy bowl full of — get this readers – lots of change – and a cashew. Not quite $750 but we got some shiny coins in the bowl. It’s all yours if you just drop us a comment after any one of these stories to let us know how we are treating your list. We should mention that the candy bowl was stacked with a roll of quarters last week. That’s missing now. No clue about that. But who cares. The jar is stuffed with pennies that far outnumber the quarters so your pockets would be fuller. You can give that to the Pennies for Poe campaign – and get a hot dog at our favorite Baltimore dog place – G&A Restaurant. So if you could take a break this week from your Friday’s bowl of soup with the Aging Newspaper’s Club, and fire off a comment about how we are treating your list, it would be appreciated. Emails don’t count. Comments at the end of this post do. No. 12 – Chick Webb, the man with the sticks. He could swing with the best. No. 10 Eubie Blake: An African American jazz composer trailblazer. No arguments, although we tried. And now we get to No. 9. It’s tough to argue with this Baltimore City College 1909 graduate. 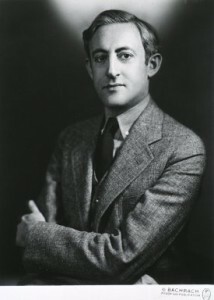 Abel Wolman (1892 – 1989) was a Baltimore inventor, professor, scientist, author and pioneer of modern sanitary engineering. He was born of Polish immigrants and raised in the East Baltimore neighborhood where the Bloomberg School of Public Health stands today. He made sure we had clean water to drink by being the main architect of Baltimore’s water system. We’re all thankful for that. He was one of Johns Hopkins’ first engineering graduates, and a world-renowned water treatment expert whose career in civil engineering spanned more than 70 years. He worked as an engineer for the Maryland Health Department, and later joined the Hopkins faculty in 1920 where he eventually served full time in both the schools of Engineering and of Public Health. After retiring from teaching in 1962, he consulted with engineers and health organizations worldwide. Perhaps he is best know for helping people in developing nations. 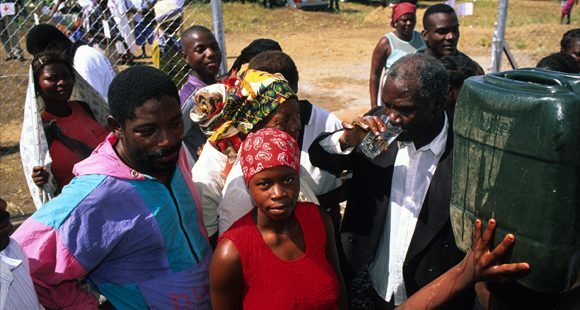 When he was in his late 80s, he traveled 40 times to Geneva for the World Health Organization, and helped build water treatment systems in 40 countries – saving millions of lives through the chlorination of public drinking water supplies that made drinking water safe for human consumption. This helped stop waterborne diseases such as typhoid fever. He wrote four books and countless articles. “I want water for people to drink and water for people to wash and children that survive. Too many children are dying,” Wolman told the WHO. He worked for nine mayors as a government officer and as a consultant. In 1986, Baltimore renamed its public works building, the Abel Wolman Municipal Building, where today citizens visit to to pay their property taxes, parking fines and metered water bills. Wolman died in 1989 at the age of 96. So a great man, and who can argue? Well, he should be on the list but perhaps not higher than Lillie Carroll Jackson, who made Olesker’s top 20, but not the top nine? Olesker, were you on vacation in Florida when you gave us this list? Perhaps we can blame it on a hanging chad ballot. She graduated from the Colored High School and Normal School in 1909. In 1918 she had an emergency operation to remove decayed bones from her head. The right side of her face was permanently scarred as a result most photos depict only her left side of her face. She became the mother of the non-violent civil rights movement long before Martin Luther King Jr. took up the cause. 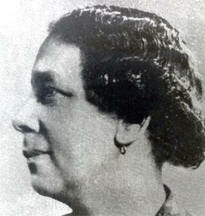 She organized the Baltimore Branch of the NAACP in 1935. She served as president until 1970, and built the organization to a peak membership of 17,600. She fought against segregation despite threats of violence from Jim Crow laws. She was known as the “Mother of Freedom,” and “that NAACP lady.” As president she led the organization in picketing one “Whites-only” theater for six straight years before the management caved in. Her daughter, Juanita, was the first African American woman to become an attorney in Maryland and married Clarence Mitchell Sr., whose family served in political posts in Baltimore and in the state. But Jackson’s civil rights movement is what moves her up this list. She organized grassroots protest that spread the message, “Buy where you can work.” The protesters boycotted stores where they couldn’t work because of the color of their skin. This began a chain reaction of similar protests around the state and country. She fought relentlessly as president of the Baltimore NAACP branch to destroy Jim Crow laws in Maryland. She died in 1975 from a myocardial infarction and was interred at Mount Auburn Cemetery in Baltimore. In her will, she asked her home at 1320 Eutaw Place in Baltimore be turned into a museum. It opened in 1976 and became the only Maryland museum named after a woman and the only civil rights museum in the state. The museum contains documents and framed memorabilia including a photo of Jackson with Rosa Parks. The museum closed in the 1990s after the city could not afford the uptake. Her belongings are in storage under the care of Morgan State University. So why put the mother of the civil rights movement ahead of the father of the sanitary engineering. Let’s make our case. While Wolman paved the way for everyone to have safe drinking water – unfortunately during most of Jackson’s life, Jim Crow laws prevented her from going to a restaurant or even a water fountain that was reserved for whites only. What’s the good in having safe water if you aren’t allowed to go to the place to drink it? Jackson was instrumental in destroying those Jim Crow laws so African Americans could enjoy a drink at any fountain. OK, Wolman saved millions worldwide, but Jackson was trying to save a race and educate another. So maybe that makes it a draw. Let’s just say they indirectly worked together. Sort of like Olesker helping us out with the list and letting us know how we are doing, which he has yet to do even with the lure of a candy bowl full of coins. Those quarters in that bowl disappeared last week. I can’t guarantee the cashew will be there next week. So chomp on that with the Aging Newspaper Club in between discussions of the obituary page.